Jay P. Clark is the owner and CEO of Clark’s Crystal Springs Ranch, LLC, and the CEO of Tear Drop Golf Company. Clark’s Crystal Springs Ranch is an Idaho-based agricultural center that is fully operational. The ranch employs nine workers and farm approximately 3,000 acres from Hagerman to just outside Boise. Jay P. Clark graduated from Northwest Nazarene University in Nampa, Idaho in 1990. During his four years at NNU, Jay P. Clark earned a Bachelor of Arts degree in Social Sciences for Secondary Education as well as a degree in Natural Sciences. There, Jay P. Clark received numerous awards, including Who’s Who among American Colleges and Universities. He was a four-year recipient of the “Honors” scholarship, received the Three Year Award and Four Year Award in varsity track, and was presented the Most Inspirational and Coaches awards in track. Upon graduation from college, Jay P. Clark continued his education at the College of Law at the University of Idaho, Moscow, Idaho, earning a Juris Doctorate degree in 1996. Clark was presented the “Jurisprudence” award from American Jurisprudence Publishing for the top law school grade in contracts during his first year at UI. Later, Jay P. Clark passed the Idaho State Bar, opening law practice in Mountain Home, Idaho in 1996. In 2007, Jay’s father suffered a stroke. Jay retired his law practice and took over the family farm. Jay P. Clark and his wife live in Mountain Home, Idaho with three of their four children. Upon graduation from Northwest Nazarene University in Nampa, Idaho, Jay P. Clark continued his education at the University of Idaho’s College of Law. Jay P. Clark received his Juris Doctorate degree in 1996 and then established a thriving law practice in Mountain Home. Although he moved his license to inactive status in 2009, Jay P. Clark enjoys keeping knowledgeable about interesting legal cases, especially those relating to agriculture. Shortly after his father suffered a stroke and retired in 2007, Jay assumed the family’s principal position of CEO and formed Clark’s Crystal Springs Ranch in 2008. Jay P. Clark became a fifth generation Idaho farmer. 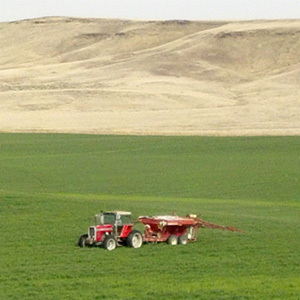 The ranch has nine workers and farms about 3,000 acres between Boise and Hagerman. Jay P. Clark is also licensed to operate a commercial trucking enterprise that allows Clark’s Crystal Springs Ranch to haul heavy equipment and farm commodities to most western states. Jay runs six semi-trucks as part of the farming operation, with two of those semi-trucks traveling interstate mainly to transport hay to drought stricken areas of Colorado, Eastern Wyoming and Nevada. Clark’s Crystal Springs Ranch plants wheat, barley, corn, oats, hay and plans to add organic Camelina in the upcoming year. Camelina is a highly efficient source of biofuel for jetliners, as well as edible oil high in omega threes. Organic Camelina is used in cosmetic products. Jay P. Clark also sees to the repairs of all of the farm’s machinery at Clark’s Crystal Springs Ranch. The ranch has its own plasma cutters, overhead cranes, heavy-duty TIG and MIG welders and paint shop so they can do almost any repair onsite. In addition to managing the growing operations for Clark’s Crystal Springs Ranch, Jay P. Clark also oversees the ranch’s machining facilities and repair shop, and the company’s six freight trucks. Jay P. Clark enjoys the restoration process and typically rebuilds at least one semi-truck and one farm tractor each year. Jay P. Clark grew up thirty miles to the northwest of Boise. The original family farm is a part of Clarks’ Crystal Springs Ranch.